Product prices and availability are accurate as of 2019-04-18 11:03:45 UTC and are subject to change. Any price and availability information displayed on http://www.amazon.com/ at the time of purchase will apply to the purchase of this product. Deliver powerful performance and seamless computing. That includes smooth streaming and brilliant HD entertainment with immersive, full-screen 4K and 360 viewing.Extended battery life keeps users on the move. Manufacturer: Intel Corporation. Manufacturer Part Number: CM8067703014612. Brand Name: Intel. 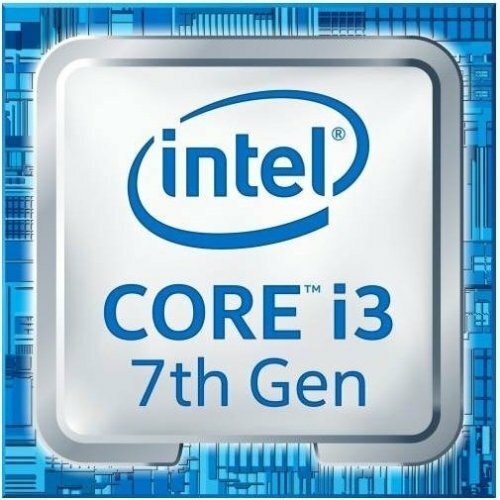 Product Line: Core i3. Product Model: i3-7100. Product Name: Core i3 Dual-core i3-7100 3.9GHz Desktop Processor. Package Type: OEM. Product Type: Processor. [Additional Product Specifications] Full Product Specifications: Click to view. [Technical Information] Processor Manufacturer: Intel. Processor Core: Dual-core (2 Core). Clock Speed: 3.90 GHz. Direct Media Interface: 8 GT/s. L2 Cache: 512 KB. L3 Cache: 3 MB. 64-bit Processing: Yes. Process Technology: 14 nm. Processor Socket: Socket H4 LGA-1151. [Display & Graphics] Graphics Controller Manufacturer: Intel. Graphics Controller Model: HD Graphics 630. Number of Monitors Supported: 3. [Power Description] Thermal Design Power: 51 W. [Environmental Conditions] Thermal Specification: 212°F (100°C). [Physical Characteristics] Width: 1.5". Depth: 1.5".